I love my slow cooker! It allows me to make “complex” flavourful meals with minimal effort and there are always leftovers. 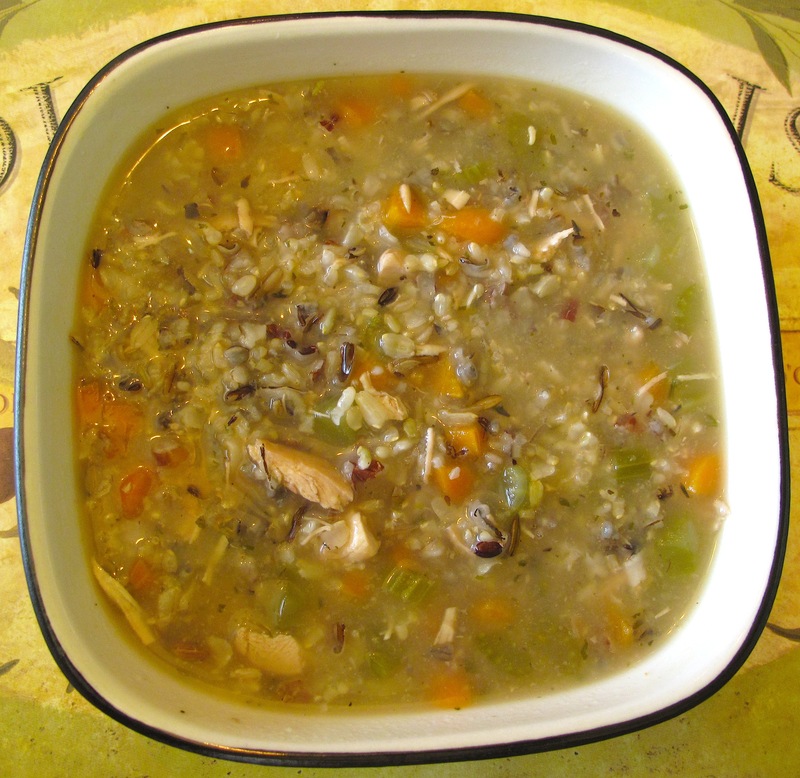 I was craving a good Chicken soup, so I decided to go down the wild rice route and it turned out pretty delicious if I do say so myself. And it tasted even better the next day! 1. Put all ingredients except for the wild rice into slow cooker. For low setting, allow 6-8 hours. For high setting, allow 3-4 hours. 2. Add wild rice in with 2 hours left on low setting and 1 hour left on high setting. This entry was posted in Chicken, Slow Cooker, Soup and tagged chicken, crock pot, Recipes, slow cooker, soup, wild rice by Karina. Bookmark the permalink.